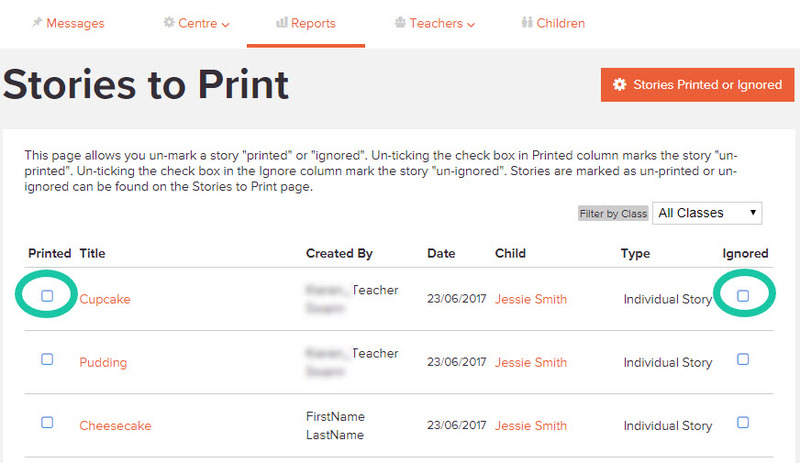 How to view a list of learning stories to mark as "printed" or "ignored"
Follow these steps to access and view the report. 1: Click on the "Reports" tab. 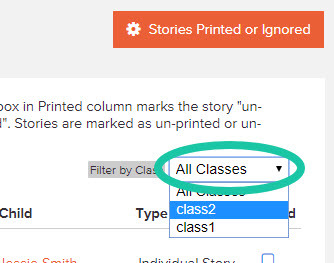 2: Click the "Stories to Print" button. 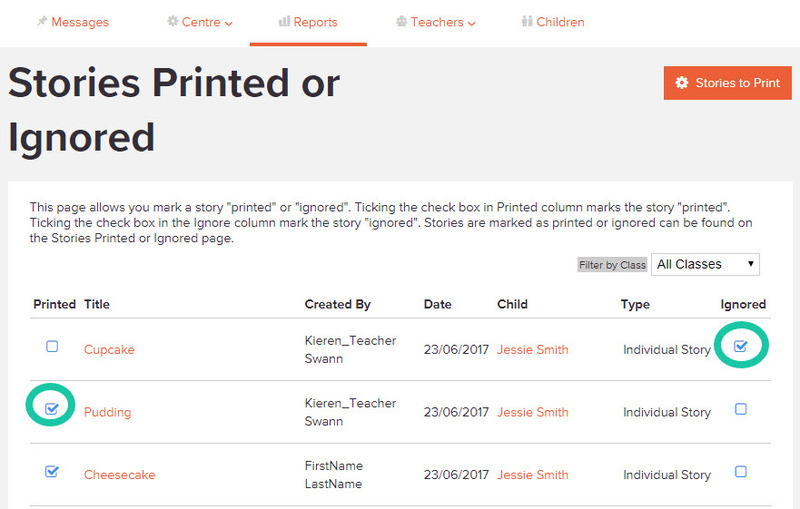 You will be shown a list of all stories for you to select from and mark as "Printed" or "Ignored". Scroll to the very bottom of the page to load more stories. Ticking the box on the left column notes the story as printed and removes it from the page. Ticking the box to the right notes the story as Ignored and removes it from the page. To visit the page with the removed stories you can click "Stories Printed or Ignored" in the top right of the page. 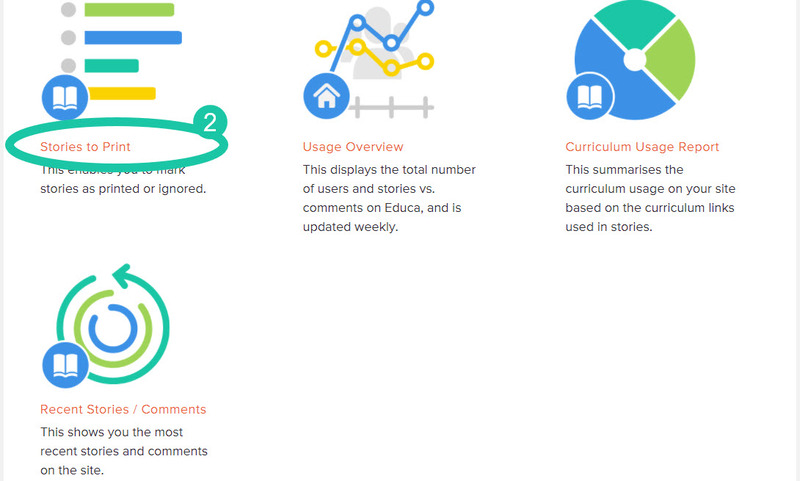 From here you can mark stories as unprinted or un-ignored so they appear back on the main list. You can also filter this list by class by selecting the drop down menu and choosing which class you would like to sort by. If you have found a story that you would like to print, you can easily go to the story by clicking on its title from this list. You can then print the story as you normally would.